There's a reason that we as humans shouldn't individually play judge, jury, and executioner for villains. Through the looking glass of surveillance video, the compulsion to physically dabble in the wrongdoings of humanity can begin to seem quite logical, though. 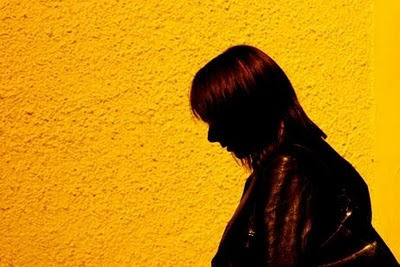 Red Road, the Scottish suspense film from director Andrea Arnold, displays the reasons why individual humans are separate from such acts. Through this tense and difficult story, we see the causal bridge between oversight and action fall apart through the eyes of one woman bent on wreaking vengeance. Much of Red Road takes action in a 24-hour surveillance control room (CCTV) monitoring the rougher parts of urban Scotland. Jackie (Kate Dickie) gently guides numerous camera lenses from person to person, reporting any malicious behavior as it seems fit. Outside of this seemingly mundane job, she keeps a rather solemn pace with her life, breaking speed solely with the sporadic sexual rendezvous she has with a detached colleague. Her life is empty, filled only with musings clustered together from the artificial relationships she builds with her regularly watched targets. Someone dangerous pops into her sight one day - someone familiar. A known criminal catches her attention, one that should still be in jail. Jackie scrambles to discover why he's been released, what business he has back in the world, and several other furiously convoluted questions, both exposed and concealed, buzzing in her mind. After trailing his footsteps on camera for a few days, she takes it upon herself to break down the wall of monitors between them and trace his actions on foot. She hopes to catch him in some compromising position that would land him back behind bars, yet she doesn't know the lengths she must go to catch such a heroic break. Furthermore, gauging by her drive to find out all she can about this man, it seems that something more than a compelling desire to capture justice presses Jackie forward to face this man. Red Road flushes the screen with minimal setup, but it deceives us with its simplicity. At first, we experience claustrophobia over Jackie's brooding shoulder in the monitor room as we mundanely scan alleyways and train depots. It's a bizarre feeling considering that we're capable of glancing at an infinite sprawl of Scottish streets. At first, her fluttering tension and noble heart seem controllable, muted even to such a degree that she wouldn't dare muster the gall to waltz these streets with revenge in her heart. That's why she's manning the monitors instead of barreling forward with nightstick and handcuffs. But there's more to this gloomy, desperate woman than first assumed. As Jackie walks across that bridge from active observer to reprisal seeker in Red Road, she timidly takes the punitive decisions of society into her own control. In a way, she grasps this rush to obtain full retribution as a way of righting where society wrongs. However, her resolve doesn't flow quite as imagined once she slips into the wild. Instead of the sternly epitomic demeanor we'd envision from her character, she surprises us with her obscure curiosity and disparate yearning for another life. What's puzzling is the fact that she chooses this particular guy, as opposed to several other gruff troublemakers caught on tape, as the focus for her idyllic rage. Once she starts to act out her dangerous ploys, and her warped motives float to the surface, Red Road takes an equally twisted shift in tone and brevity. Instead of the cold, cramped atmosphere we as observers have grown accustomed to, Jackie leads us through those brash and fuming streets only shown to us through monitors. There's a certain taboo warzone mechanic at play with the Scottish streets in the film, and our heroine gingerly glides through the confines with an ambiguous objective in hindsight. Normal locales, like bars and twenty-something parties, feel a lot less commonplace and more like the act of gracefully tip-toeing through a wolf's den in fear of awakening the pack. It's through this crossover both in setting and in Jackie's mentality that Red Road shifts from a static, slow-burning complexity to a flushing fury of nerves. Several barriers faze into an indiscernible blur through this acceleration, such as the line between purist and pariah. Moreover, once we reach this point, Red Road transforms from a reserved thriller with several secrets locked within its narrative to a revelatory severance of the nerves that becomes achingly difficult to watch. Though it continues to engulf with its compelling narrative, our comfort zone is tested with several graphic imprints that earn the film's material warnings. Imposing as these depictions are in this scenario, their raw illuminating nature seems strangely satisfying once all is said and done in Red Road. Expecting an easy resolution would be pointless inside a film with such a psychologically complex, yet textually simple, nature. Even after we're sent spiraling into a chaotic whirlwind, this film still delivers enough compellingly painful exuberance that we wish to stick around for resolution. Andrea Arnold's film throttles through an enraged gauntlet of emotions infused with an exhilarating plot that I'm not likely to forget anytime soon.